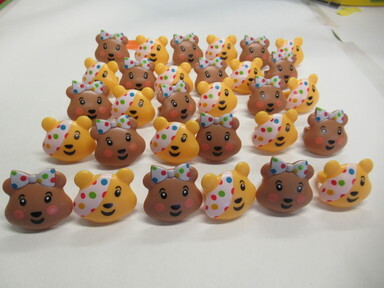 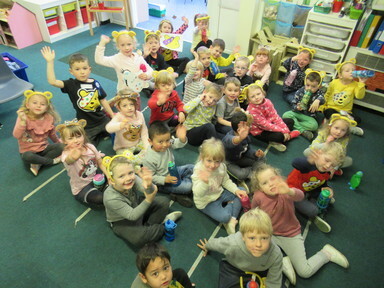 Today, all the boys and girls at Clover Hill came to school wearing Pudsey Bear t-shirts and ears for Children in Need day along with a donation for the charity. 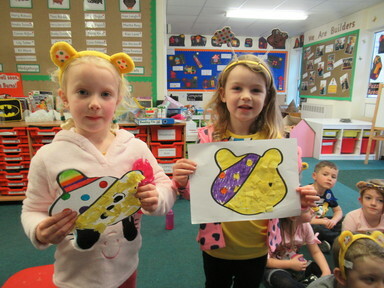 Some very industrious people made Pudsey Bear collages with crepe paper and were very proud of the finished result. 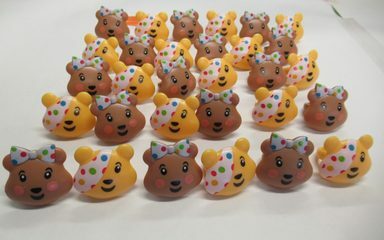 We were particularly lucky in Reception because Amelia’s Daddy sent in a Pudsey or Blush ring for everyone. Thank you very much!